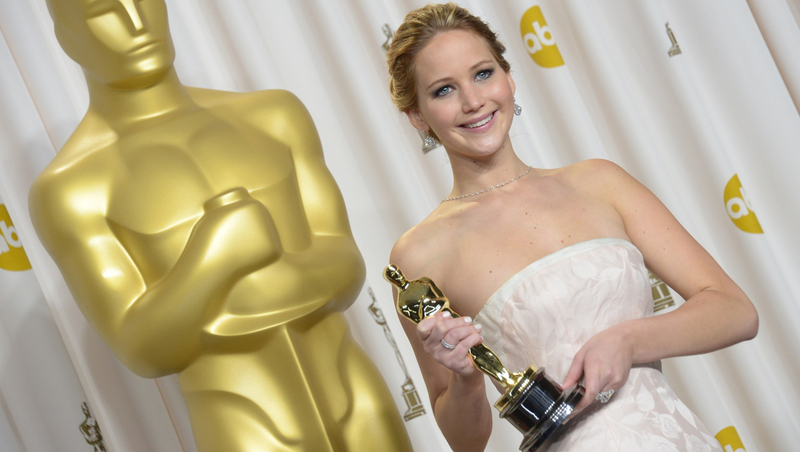 Jennifer Lawrence is going to be keeping busy at the 86th annual Academy Awards. Not only is she nominated in the best supporting actress category for her memorable turn as a New Jersey housewife in "American Hustle," the 23-year-old "Hunger Games" star will also be serving as an awards presenter at the ceremony -- show producers Craig Zadan and Neil Meron announced on Friday. The actress, who will be seen in the upcoming May release "X-Men: Days of Future Past," recently joined more than 150 other nominees at a special Oscar luncheon. In 2011, Lawrence received her first Oscar nod for her portrayal of an Ozark teen in search of her father in "Winter's Bone." Last year, Lawrence took home the Academy Award for best actress for her performance as a dancer suffering from mental illness in "Silver Linings Playbook." Both "American Hustle" and "Silver Linings Playbook" were directed by David O. Russell and star Bradley Cooper, who is also up for an Oscar this year, along with their "Hustle" co-stars, Amy Adams and Christian Bale. Hosted by Ellen DeGeneres, the 86th annual Academy Awards will air March 2 at 7 p.m. ET on ABC. Ken Lombardi is an entertainment reporter for CBS News. He has interviewed over 300 celebrities, including Clint Eastwood, Oprah Winfrey and Tom Hanks.